Moscow says it is ready to assist peace and dialogue efforts in Libya if all sides of the conflict adhere to the UN resolutions. Despite this, violence has yet to subside in the country torn between opposition and pro-Gaddafi forces. ­Early on Monday NATO forces targeted a building inside Muammar Gaddafi’s compound, which the Libyan government considers an attempt on life of the Libyan leader, Al Jazeera television reports. The television quoted the Libyan government official as saying that 45 people were injured in the attack, with about 15 sustaining serious injuries, some people are still missing. 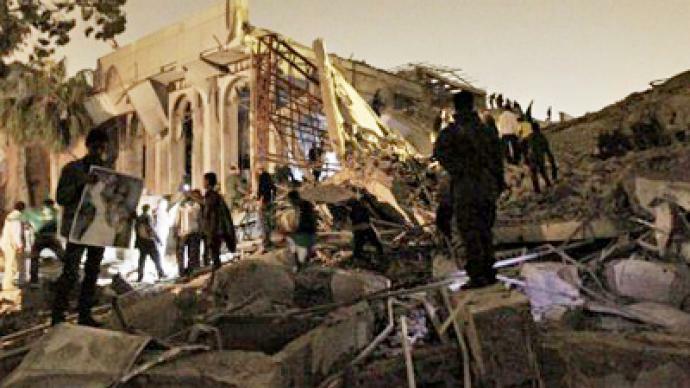 It is already the second reported attack on Gaddafi’s compound. A car park, allegedly covering an underground bunker, was hit just two days ago. 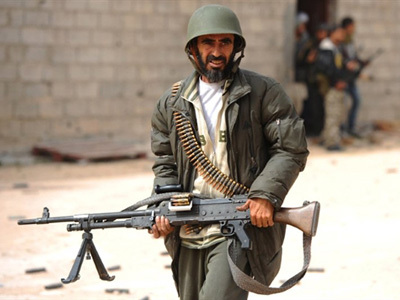 On Sunday, pro-Gaddafi forces bombarded the rebel-held town of Misrata. According to the government spokesman, Mussa Ibrahim, Gaddafi troops still hold plans to withdraw from the town but had to fire back when they were attacked. 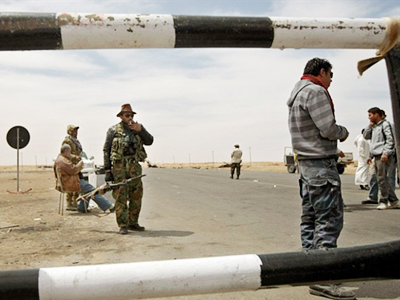 Despite the government saying its army is withdrawing from Misrata, rebels claim the announcement may be a trick to mask the troops’ movements and incite violence between locals and rebels in nearby towns, Al Jazeera reported. In a telephone conversation with the Libyan Prime Minister al-Baghdadi Ali al-Mahmudi on Saturday, Russian Foreign Minister Sergey Lavrov said that the main goal now is to prevent further civilian casualties in Libya. He added that Russia is ready to support the efforts of the African Union and the United Nations to take the developments to a political and diplomatic channel. According to RT’s correspondent Egor Piskunov, who spent two weeks in the rebel stronghold town of Benghazi, rebel forces remain highly disorganized. ­The fact that the rebels are now relying on international help makes the situation even more dangerous, promoting the idea of uprisings in other countries, warns Russian Foreign Minister Sergey Lavrov. “We suspect that the rebels’ unwillingness to negotiate is fuelled by the fact that the NATO states – the same countries that took it upon themselves to uphold the UN resolution – now seem to have taken the rebels’ side. It seems the rebels’ current intention is to rely on foreign aid to overthrow the regime and assume power. Sentiment of this sort is very dangerous. Unfortunately, it also seems to be contagious as we are observing it in other countries in the region. Deliberately escalating a conflict in the hope that the world community will come to your aid is essentially an invitation to a series of civil wars. 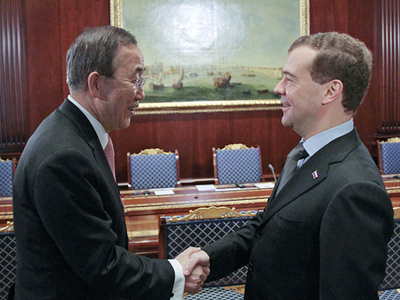 Outside forces should not interfere, give advice or take sides in interior conflicts,” said Lavrov. Igor Khokhlov from the Institute of World Economy and International Relations says the coalition forces are going way beyond the UN resolution and this could lead to grave consequences for everyone involved. 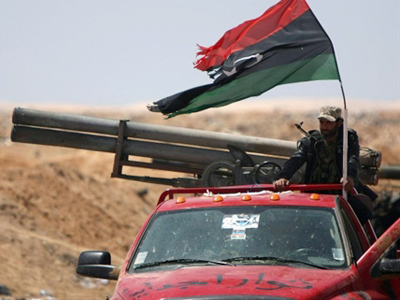 Mark Almond, who's a visiting professor in International Relations at Bilkent University in Turkey, says the two Libyan sides must be brought to the negotiating table. 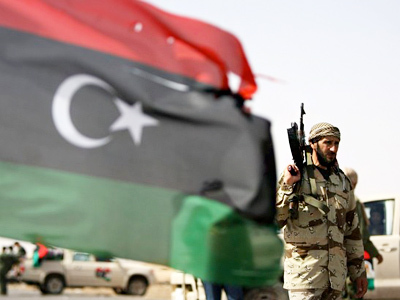 ­Francis Boyle, Professor of International Law at the University of Illinois, says the Libyan conflict is a well-planned mission with the next phase almost set in stone. While the violence is escalating in Libya, rebel supporters believe that they are fighting for brighter future and prosperity. For years Saleem has been struggling to keep his auto parts shop running. He claims even opening it meant paying thousands in bribes to various officials, all linked to either Gaddafi or his family. Sure, small private business does exist in Libya. However, with the Colonel and his close allies controlling all sectors of the economy, it is a huge struggle for any businessman to make a decent profit. The idea that the revolution will open the flow of cash for everyone to enjoy, is backed by all rebels – from farmers to the military command. However, some analysts do not share this optimism and doubt NATO is the guardian angel it promises to be. With over 41 billion barrels, Libya’s oil reserves are the largest in Africa and the ninth largest in the world. There is so much oil in the country that filling up a gas tank on a mid-size car costs less than US$10. In 2008 Gaddafi even promised every Libyan would be paid US$800 every month to share the oil revenues, but failed to keep his word. Despite Libya having the resources to do big business, it is just that for the past four decades it was done only by a circle of chosen people – the elite. The rebels in Benghazi say they are ready to fight to the end to build a more liberal and prosperous society. However, time will tell whether the opposition is strong enough for this change, or if the future of the Libyan people has once again been decided for them.